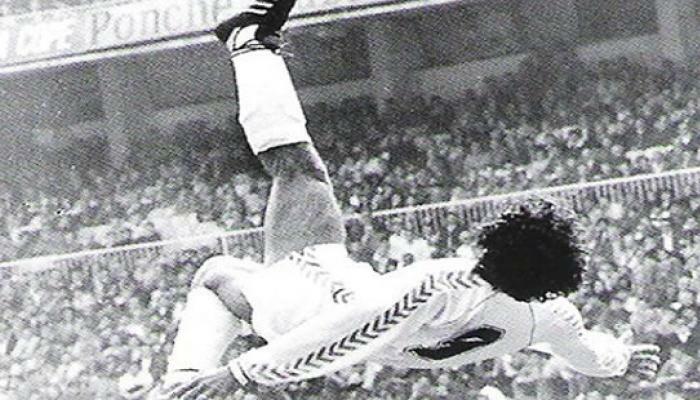 Hugo Sánchez won 5 consecutive leagues, one King’s Cup, three Super Cups and one UEFA Cup. Enumerating the ten best athletes of a country is without a doubt a tough job, while we chose them, we realized we would have wanted to have 2, 3 or maybe 10 more spaces so that we could be fair and include many more athletes we didn’t want to leave out. What did we base our ranking in? the popularity of their sport, how charismatic they are with their fans, their national and international accomplishments, for being excellent athletes either individually or for making the difference in their teams; avoiding our preference for any sport affecting our elections. 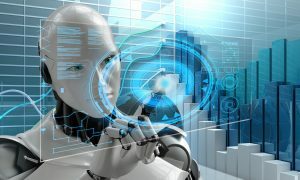 Many may think crazy to leave out Soraya Jiménez, Rafael Márquez, María del Rosario Espinoza, Vinicio Castilla, Eduardo Nájera, Beto Ávila, Paola Espinosa, Iván Contreras, the Rodríguez brothers, Chicharito, Gustavo Ayon, Raúl Ramírez, and many more that have given Mexico glorious moments; we would have loved to include them all. We tried to base ourselves in just numbers and in the transcendence of their accomplishments at an international level. If you have any objections, controversy is welcome. Born the 11 of July of 1950 in Mexico City, he was named the Best Mexican Soccer Player in History by the FIFA. Besides, he was chosen by the International Federation of History and Statistics of Soccer as the best player of North and Central America of the twentieth century. IN 2011, together with Lionel Messi and Pelé, he was considered “Historic Sports Heritage of Humanity”. “The Golden Child” began his trajectory with the Pumas of the “Universidad Nacional Autónoma de México” but in 1981 he went to the Atlético de Madrid team in which he debuted on the Spanish First Division on September 19 of 1981. On the season of 1984-85 he got the title of more goals scored (Pichichi) with 19 goals. On that same season, he got with his team, the Copa del Rey (King’s Cup), a Supercopa (Super Cup) of Spain and the second place on the league. In 1985 he was transferred to Real Madrid, where he played for seven seasons, playing 240 matches of the league in which he scored 164 goals. With the beige team, he also won 5 consecutive leagues, one King’s Cup, three Super Cups and one UEFA Cup. 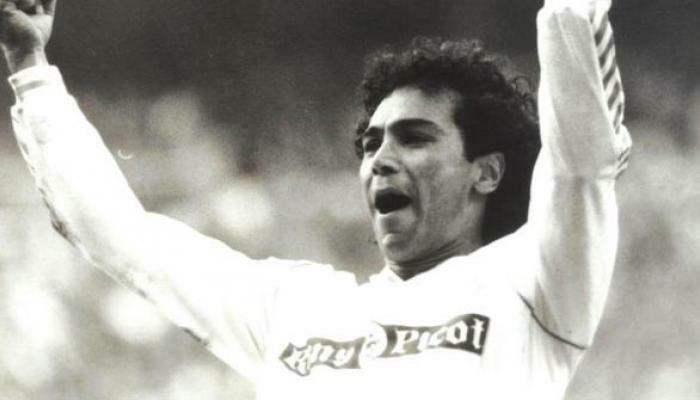 Among other records, Hugo Sánchez had during 20 years the title of the foreign players with most scored goals in the Spanish League; he also had, for many years, the record (shared with Telmo Zarra) of more scored goals in one single season, with 38 scored in 1989-90. That same year he won the golden shoe (he still is the most time scorer in a single season of “a single touch” goals). Besides he is the player with the second most Pichichi trophies and the only in the history of Spanish soccer that has won it during four consecutive tournaments without sharing it any of those times, leaving it clear that his productivity as a foremost player was constant and precise. On may 29 of 1997, the Real Madrid had a tribute at the Santiago Bernabéu for Hugo Sánchez considered one of the most important players in the history of the club with a good-bye tribute game against the París St. Germain, in which he scored 3 of the 4 oaks of his team. One of the most famous images of the five times “Pichichi” is the one of “Mr. Goal” that scored to the Logroñés the tenth of April of 1988; the Bernabéu arena waved white clothes to honour the Mexican. 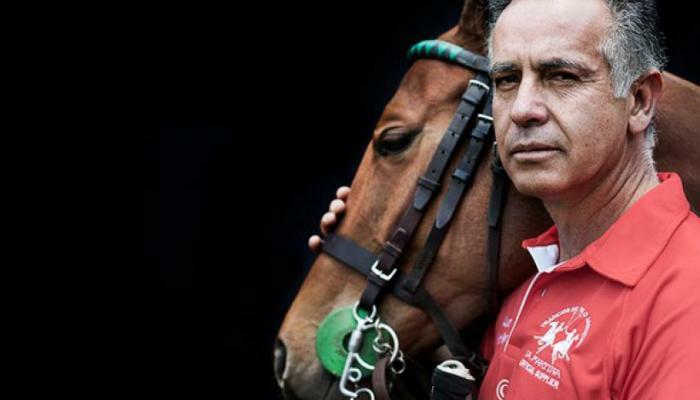 They say that Carlos Gracida could be called the Pelé of polo. That he could go from signing autographs in Argentina and go to London and be the duke of Cambridge’s private teacher and future king of Great Britain, William, (was expected to be teacher of the also recent Prince George). But surprisingly in Mexico he wasn’t very famous wand he could walk around the “Paseo de la Reforma” in Mexico City without a single person noticing his presence. He won all the world records, also won 10 the very desired British Open, nine US Opens and five Argentinian Opens -“The hardest of the world”-. He is the only one who has the Triple Crown of the Grand Slam: winning the three tournaments on the same year. He was the foreigner that won the most Argentinian Open of Palermo, in five occasions, and the only foreigner to conquer the Olimpia de Plata award of Argentina, award that has been given to famous athletes as the tennis player Guillermo Vilas, and the soccer player Diego Armando Maradona. That was Carlos Gracida, born the fifth of September of 1960 in Mexico City, who died the fourteenth of February of 2014 when he fell off his horse while playing in Florida, United States. “The Bull of Etchohuaquila” is a left-handed pitcher that was born the first of November of 1960 in Sonora. 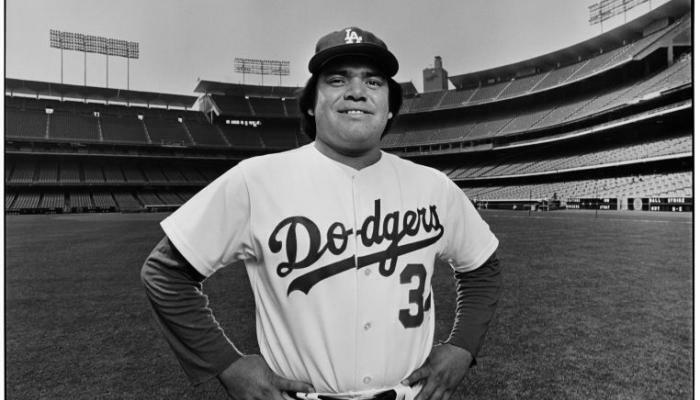 After being the Rookie of the Year in 1979 of the Mexican Baseball League, he debuted in the Big Leagues with the Los Angeles Dodgers in the season of 1981. He won the third game of the World Series of that year against the New York Yankees, in which he played through the whole match without allowing any runs after the third entry; his victory being decisive, in making the Dodgers champions. He was Rookie of the Year in the big leagues in 1981, the same year he won the Cy Young award to the best thrower of the big leagues; and he also broke the record of all times for a rookie pitcher, of 8 matches throwing without getting any annotations. He got the Silver Bat for pitchers in two occasions, 1981 and 1983. In the game of the stars of 1986 he struck five batters of the American League in a row and with that he tied the record of the also lefty and equally expert in the corkscrew balls, Carl Hubbell, in 1934. In 1986 he was also awarded the Golden Glove for having the best performance with the gloves of the pitchers of the National League. During this season he won 21 games and was a leader of the National League in won games and complete games. During his time at the LMB he was convoked six times to the Game of the Stars and in 1990 he threw the game without hit or run against Saint Louis. Valenzuela is considered the best Mexican baseball player of all times, that´s why in July of 2014 he will enter the hall of fame of Mexican Baseball, but moreover he is also a figure of baseball in the United States where he even made the term ‘Fernandomanía’ famous due to the euphoria fans of the “King of the Sports” felt every time they saw him play. Debuted in boxing in December 1983 when he was 21 years old and he retired on September of 2005 at the age of 43, with a professional score of 107-6-2, with 86 knock outs. He got six world titles i three divisions (“superpluma” -super feather-, light and super light) and among many other records, he was unbeaten in 90 combats. Chávez had 39 fights of the world title, he has the world record of the biggest turnout to a boxing fight with 132,275 thousand fans at the Azteca Stadium. His goodbye was in 2004 against his first executioner, the American Frankie Randall, at the Monumental Plaza of bulls Mexico, in Mexico City, where he received a well deserved tribute from the World Boxing Council (WBC). In September 2013 he was included on the Boxing Hall of Fame, in Nevada, against boxing personalities such as Mike Tyson, Sugar Ray Leonard, and Óscar de la Hoya. 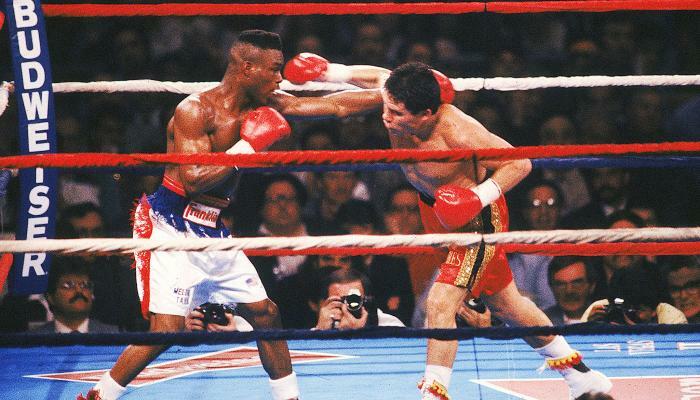 The “Caesar of Boxing” is still an icon in the world of boxing thanks to his great charisma and to the unforgettable fights he had against contenders such as Mario ‘Azabache’ Martinez, Meldrick Taylor and Héctor “El Macho” Camacho. Born the 23 of December of 1928 in Mexico City, same place where he died the 8 of May of 2010 due to a heart attack. He is considered the founder of the great tradition of diving that has turned Mexico into a power in this sport. 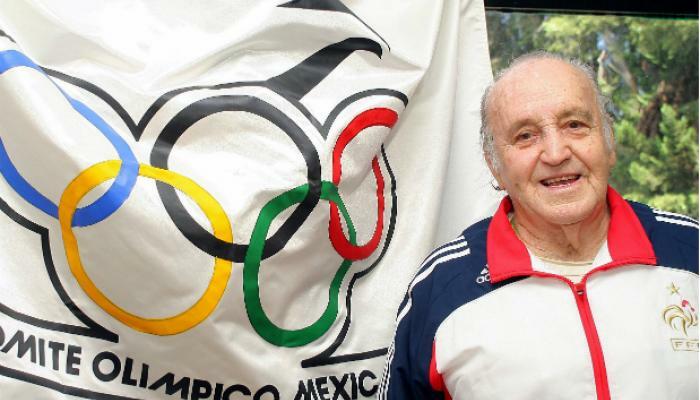 Among his accomplishments, he is the Mexican athlete with the most Olympic medals in history with four: gold and bronze in Melbourne 1956, silver in Helsinki 1952 and bronze in London 1948. He was the first in getting more than one medal in one Olympic tournament, and he also shinned at a central-american level with 4 gold medals, and at the Pan-American games he also got 4 gold medals. In November 2009 he was awarded the National Sports Award by the government of Mexico. Born in the city of Guadalajara, Jalisco, the fifteenth of November of 1981. Started to play golf when she was five years old and her career has been meteoric: at the age of six she won her first state title; at the age of seven, a national title; at the age of eight she won the Junior World Gold Championship and by the time she was thirteen she was already the only player in the world to have won during five consecutive years this tournament and the Junior World International Championship; record that she still holds until now. She started her professional career in 2002 at the Futures Tour, where she won three tournaments and ended up in first place in the list of wins; with these she qualified to the LPGA. Five years later, at the young age of twenty five she managed to be first in the very desired position number one of the world ranking. Among her achievements you can count 129 titles, more than 27 won at the LPGA, and two Majors. Her trajectory has been compared to those of Tiger Woods and Nancy López, two legendary figures of golf. In 2008 Lorena Ochoa was in the list of the most powerful people of the Forbes magazine. In May of that same year the Times magazine put her among the 100 more influencing personalities of the world and she go the ESPY Award for best international Athlete. She was the No. 1 player of the world for 157 consecutive weeks, form 2007 to 2010, and was Rolex Player of the Year from 2006 to 2009 and leader of wins of the LPGA from 2006 to 2008. Considered the best basketball player of Mexico he was born in Villa Aldama, Tamaulipas, the 18 of March of 1944, with a height of 1.88 meters. he played at the wing position shinning by his great vertical hum (1.10 mts. ), which allowed him to control bounces and execute excellent shots in suspension. He was the first foreigner and Mexican to be chosen at the Draft of the NBA. In the 1970 the Atlanta Hawks chose him in tenth round but couldn’t pay the Ignis Varese, the team with which he had his big accomplishments. Raga’s contract was valued in 35,000 dollars, an amazing number at that time, so he never officially played at the NBA. In the World cup of Uruguay 1967, and the Olympics of Mexico 1968 he drove crazy Italy’s defense, which cost him being invited to try his own luck on clubs of that country. In seven years, “Il Messicano Volante”, helped the Varese win three Italian Leagues, three Italy Cups, and three European Championships. In 2007 he was named by the Euroleague as one of the best 50 players of all history that have participated in European competitions. 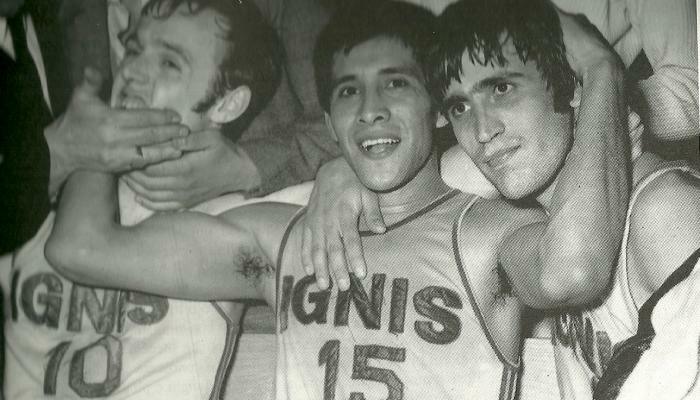 In 2010 the province of Varese offered a tribute to him for being a legend of the Ignis team, and in 2014 he got into the hall of Latin Basketball with headquarters in San Antonio, Texas. One of the strongest athletes in the history of sports in Mexico and probably in the world. She is the current champion of the International Federation of Racquetball in singles and doubles, and the first player to win this title in both categories. Until today (15th of may 2014) she has 33 titles and 133 consecutive victories in the Ladies Professional Racquetball Tour. She just need four more matches to reach the historic record of matches without losing that is 137 of the Canadian Kane Waselenchuck. Longoria, who was born in San Luis Potosí the 20th of July 1989, has been number one in the world ranking of the LPRT in the seasons 2008-2009, 2009-2010, 2011-2012, 2012-2013, and has her spot secured for the 2013-2014 season by winning so far all of the tournaments in the calendar. Her achievements also includes three world medals in Centro-American games, three in Pan-American games and three more in the World Championships. In 2013 the Forbes Magazine of Mexico named her as one of the most influencing women of Mexico. She’s the three time reigning International Racquetball Federation World Champion in Women’s Singles. She has also been World Champion in Women’s Doubles, and is the only woman to have won both singles and doubles at Worlds. Longoria is also the #1 player on the Ladies Professional Racquetball Tour (LPRT) tour, and was the first Mexican woman to attain the #1 pro ranking, doing so at the end of the 2008-09 season. The first and only athlete that has put Mexicos name in the high speed track and field competitions; that paralyzed one entire country and the media every time the shot gun sounded and the race started. She is considered one of the best 10 track athletes in the world and history. Ana Gabriela went to her first Olympic games in Sydney 200 where she won the fifth place in the final of 400m. In 2002 she had an extraordinary performance at the Golden League, a competition she won in its seven meetings (Oslo, Paris, Rome, Montecarlo, Zurich, Brussels, and Berlin); besides she also won two gold medals at the World Cup of Madrid 2002 (in 400m and as a member of the American team in relays 4×400 m). The native of Nogales Sonora in 1977, was known as the best in 400m plain when she won gold in the outdoors world cup in Paris 2003 which allowed her to become a candidate for the Olympic championship of Athens 2004; even though she couldn’t get that dream because of previous injuries, she managed a silver medal which meant a historic accomplishment for Mexico. Is an athlete born the 29 of February of 1952 in Nuevo León, and specialist in long distances and an important member of the golden times of marching in Mexico. He is one of the seven walkers that has gotten a medal in Olympic games, but the importance of his accomplishments lies in getting two medals in the same edition of two extenuating races. 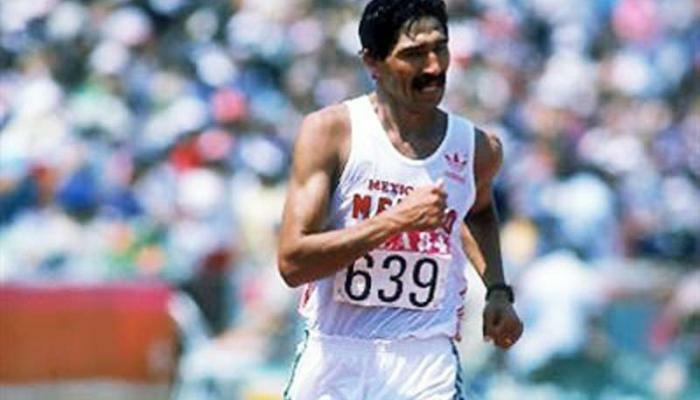 In Los Angeles 1984, Raúl González managed to win the silver medal in 20 km and then breaking the world record the morning of the 20th of august in the 50 km. He won the world cup in Athletic March, an event organized by the International Association of Athleticism Federations (IAAF) in 50 km in 1977, 1981, and 1983. He was a member of the national marching team that received the national sports award in 1977, same price he won in 1978 in an individual manner.